di Bocconi Students Investment Club 17 Novembre 2017 8 min. The market microstructure of electronic markets is a topic that is usually left outside the “standard” set of courses within an academic degree, both at the B.Sc. and at the M.Sc. level. However, some knowledge of market microstructure can be particularly handy for any students willing to build a career in almost any field of finance. The objective of an electronic markets is (quite intuitively) to match buyers and sellers of securities in a computer-based fashion. Hence, a sensible point from which to start the analysis is a description of the various kind of orders available to market participants. The graph represents in green LOs to buy and in the red the LOs to sell. Furthermore, the bars show the cumulative quantity of security XYZ available to be traded at each price level (implicitly assuming the minimum tick size is 0.01). Firstly, suppose investor A would like to buy 1000 XYZ at 99.98. In this case, he can send a (passive) LO to market and in the LOB the quantity corresponding to 99.98 would increase by 1000. It is clear that, given that in this market there is no one willing to sell at the price at which investor A would like to buy, this order will not be immediately filled and actually there is no guarantee that it ever will. In other words, investor A will have to wait until some other market participant is willing to sell XYZ at 99.98. Secondly, suppose investor B would like to buy 1000 XYZ at 100.01. He/she has two choices. The first is to send an (aggressive) LO to market. This order would be immediately filled given that in the market the quantity available to be sold at that price is 2000 (grater that the quantity investor B would like to buy). The second is to send a MO to market. Here investor B would be commuting his intention to but 1000 XYZ at the current best price. Given that the best price at which it is possible to buy is 100.01 and that the quantity available to be traded is greater than the quantity specified in the order, investor B would buy the entire 1000 XYZ at the (unique) price of 100.01. In this example, it could seem that there is no difference between an aggressive LO and a MO. This is obviously not true and by changing a bit the previous example it is possible to make it apparent. So, suppose that investor B would like to buy 3000 XYZ at 100.01. If he decides to use a LO, then the order would be only partially executed. Investor B would get 2000 XYZ at a price 100.01, while for the remaining 1000 he will have to wait until some other market participant is willing to sell XYZ at 100.01. If on the other hand, investor B decides to use a MO, his/her order would be completely (and immediately) filled. However, he/she would pay a price of 100.01 for 2000 XYZ and of 100.02 for the remaining 1000 XYZ. In a nutshell, investor B would pay an average price of 100.01333 for the 3000 XYZ. This action of going through each layer of the LOB until the MO is fully executed is called walking the book. To recap, there is a clear trade-off between a LO and MO. The advantage of the former is that an investor can be certain about the execution price he will pay. The disadvantage is that the order may not be entirely filled, and even if this happens, the investor will probably have to wait a considerable amount of time. Conversely, the advantage of the latter is that that an investor can be (almost) certain about a complete and rapid execution. However, the urgent nature of the MO will have a cost for the participant, since the average price at which he trades the security is worse than the best available price when the order was sent. As the reader may guess, the extra-cost paid in a MO is (usually) negatively correlated with the liquidity of the security being traded. The reason is that usually liquid products have enough LOs at the best price in order to fully execute MO of reasonable sizes. Having described the basic mechanics of the LOB, it is now useful to go through some definitions wildly diffused in the industry. Let’s begin with the difference between joining and improving. To join means to send a LO with the same price as the best bid or offer of the LOB. In the previous example, this would be a LO to buy at 99.99 of a LO to sell at 100.01. It is important to stress that a LO to join will always suffer the time priority rule adopted by most exchanges. In practice, this mean that among all the orders at the same price, time is what matters when it comes to decide how they will be filled. In other words, the sooner you send an order, the better off you are (within the group of orders at the same price). To improve, instead, means to send a LO to buy (or sell) that narrows the bid/offer spread (i.e. the difference between the buying LO with the highest price and the selling LO with the lowest price, in the LOB). In the previous example, an improving order would be LO to buy (or sell) at 100.00. An order of this type would receive the highest priority (even though it is the most recent) because it has the best price of any bid (if it’s a buying order) or of any offer (if it’s a selling order). At this point it should be clear that the price of a traded security is not unique, but it is the collection of all the orders forming the LOB. Strictly related to this concept is difference between making (or providing) liquidity and taking liquidity. A possible definition of liquidity is at any point in time is the immediate availability of units to be transacted at a fair price. Generally speaking, the higher the number of LOs in the LOB, the higher the probability that arriving MOs will be fully filled by these LOs at a good price. For this reason, LOs are usually associates with the notion of providing liquidity, while MOs with the notion of taking liquidity. Nevertheless, what just stated (even if generally true) is not always correct. Indeed, it is possible for imbalances in the volumes of LOs in term of buys versus sells to generate incredible illiquidity for anyone on the wrong side of those moves. Also, MOs to buy (or sell) units at a time when there are many sellers (or buyers) could potentially be extremely additive to liquidity, even if they technically remove units from the LOB. A main issue with equity stocks is that trading does not take place continuously, but is limited in time during trading sessions. 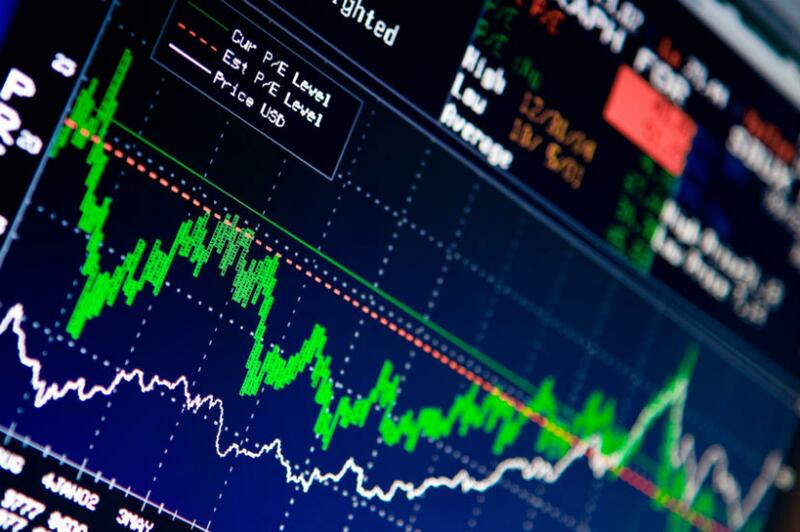 A major issue is therefore the setting of the first market price of the trading window, the so-called “opening price”. As a matter of fact, investors and traders take as a reference the last executed price, but at the beginning of the session the last trade to have taken place is the closing of the previous day: it is clear that it reasonably no longer represents the “fair price” of the security. To solve this issue, and to set an opening price as “fair” as possible, all regulated exchanges organize an opening auction for each traded security, with specific rules that vary from case to case, but that can be generalized as follows. The pre-auction opens approximately one hour prior to the opening time (let’s say at 8:00 am), and closes at what can be imagined as the opening time (9:00 am). In the past years, some exchanges introduced a randomness in the closing time of the pre-auction within its last minute (that is, between 8:59 and 9:00): in this way, the precise moment of conclusion of the pre-auction phase is not known beforehand and the regularity of the price formation process is enhanced. After that, in the validation period (from 9:00 to 9:05) no orders can be made and the opening price is verified. If the price is validated, during the opening phase (9:05-9:10) orders can be executed only at this price, until they are fully executed. After that, the regular trading takes place. Let’s now look at how the pre-auction phase works, and how the opening price is set. In this case, 5000 shares can be traded both at 9.9 and at 10.0. Therefore, the price is set at 9.9 because it is the one that minimizes the differential between supply and demand (buy and sell quantities). Usually, if even this criterion is satisfied by more than one price, the price chosen is the one closer to the reference price. Finally, if again two prices satisfy all the previous criteria, then the highest price is (usually) chosen. We are arrived at the validation phase. For the equilibrium price to be validated, it has to satisfy an additional important criterion: it has to lie in between a boundary specified as a percentage of the reference price (e.g. ±10%). If the price cannot be validated, either for this reason or, for instance, because no orders arrived during the auction, a second auction is called. The rationale of this rule is to help the correct formation of the market price, which can fail and lead to high volatility in cases, for instance, in which the stock is illiquid and few orders arrive. Similarly, to the opening auction, at the closing of the trading session a closing auction is called. It lasts just few minutes, but it is fundamental as it provides great liquidity and leads to the efficient formation of the closing price, which is an important benchmark for the trading day. Usually, if the closing auction is not validated, no other auctions are called and the closing price is set at the last traded price. 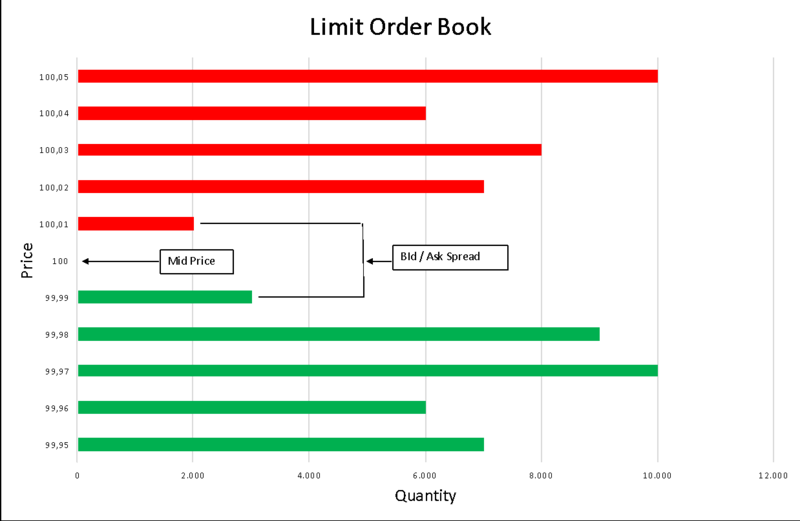 The limit order book is at the center of the price formation process. However, it has a major drawback. When an investor wants to do a “block trade”, that is, he wants to buy or sell a big number of shares of a specific security, he cannot send the order “once and for all”, or it will move the market against him. What he can do is to “split” the order in small amounts, which are sent in sequence. However, since the order book is public and the identity of traders who send orders is not secret, very likely his intention will come up soon: therefore, also this strategy can have a sizeable market impact. This is exactly the reason why “dark pools” came into existence. They can be defined as private markets for trading securities, accessible only to institutional investors, in which the identity of traders and the characteristics of their orders are kept secret until they are executed. The drawback is, obviously, that price formation is less transparent than in a regular exchange. In Europe, the operation of dark pools has been facilitated by the MiFID I regulation, which abolished some rules which curbed trades outside regulated markets. Dark pools are now operated by virtually all major banks and brokerage institutions, and even some regulated exchanges have their one “private venues” in which orders can be submitted under higher confidentiality. According to some estimates, around 10% of European trading volume in equities passes through dark pools. These figures are even higher in the US. Since the price formation is less transparent, dark pools are populated by arbitrageurs wishing to exploit any price discrepancy between different trading venues, by using algorithms and high frequency trading. This fact, as well as news of fines imposed by American institution to dark pool’s operators such as Barclays and Credit Suisse, are the reason why dark pools are so negatively perceived by the general public. In the recent period, therefore, European authorities started regulating again trading in dark pools. Under MiFID II, which will be valid starting in January 2018, trading of a stock in dark pools cannot exceed 8% of the volume over a 12-months period, while trading in a single venue cannot exceed 4% over the same period.